Update - Official images showing both exterior and interior have leaked online. Images gallery at the end of the story updated with the latest images. 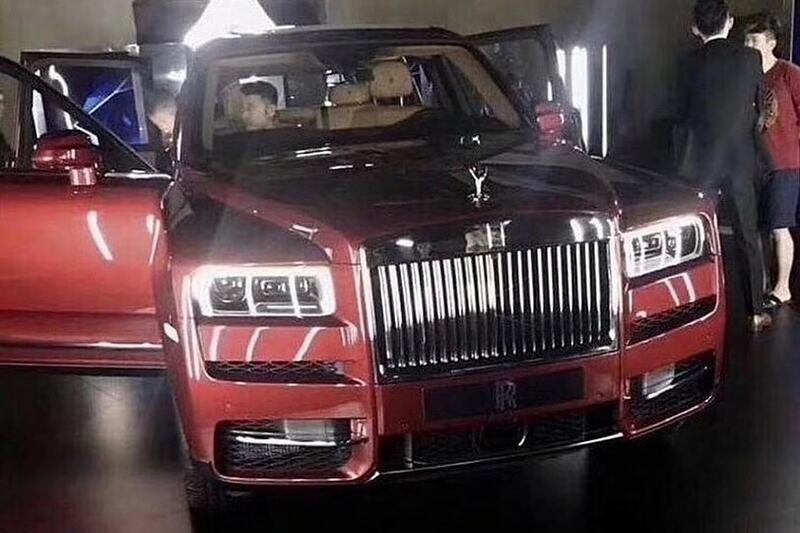 The Rolls-Royce Cullinan has leaked in a photo captured at what looks like a private preview. Its official unveiling is scheduled to take place tomorrow. The Rolls-Royce Cullinan is the first-ever Rolls-Royce SUV. Named after the Cullinan diamond, the largest flawless diamond ever found, the Rolls-Royce Cullinan is Rolls-Royce’s first-ever SUV. The “high-bodied” Rolls Royce’s front fascia is reminiscent of the Rolls-Royce Phantom Mk8. The Rolls-Royce Cullinan’s rectangular headlamps are not aggressive as the Rolls-Royce Phantom’s and look rather boxy. The upper edges of its hood are not as curved, and they remind of the Rolls-Royce Phantom Mk7. In a signature fashion, the ever so debated portrait grille sits between the SUV’s headlamps. The middle and lower sections of the bumper seem to have functional air vents. On the sides, the exotic SUV has coach doors, also a signature Rolls-Royce feature. At the rear, it has vertically stacked tail lamps. The Rolls-Royce Cullinan is underpinned by an all-new aluminium spaceframe architecture called ‘The Architecture of Luxury’. This architecture debuted in the latest Rolls-Royce Phantom, and it is approximately 30% more rigid than the old Rolls-Royce Phantom’s spaceframe architecture. The Cullinan will likely share the newly developed 6.75-litre twin-turbo V12 petrol engine that develops 563 bhp and 900 Nm of torque also with this flagship saloon. A satellite-aided 8-speed automatic transmission that pre-selects gears based on the vehicle’s geographic location, four-wheel steering and an AWD system are also expected in the SUV. 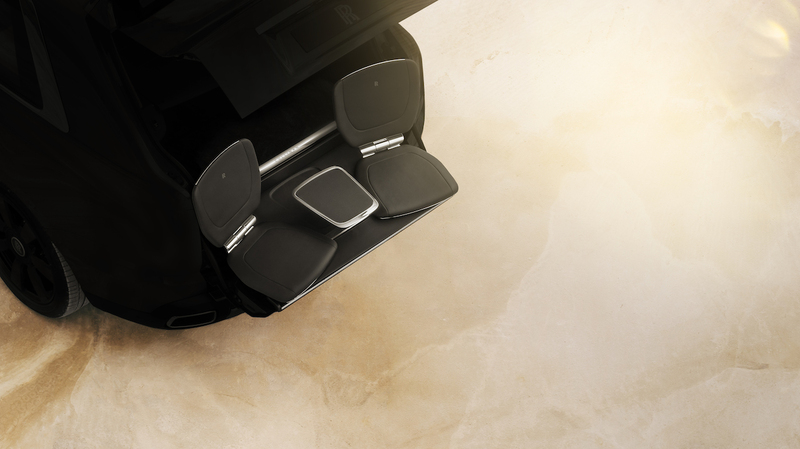 The Rolls-Royce Cullinan has a hidden 'Viewing Suite' in its trunk. The Rolls-Royce Cullinan will go on sale globally later this year. In India, it could have pricing circa INR 10 crore (ex-showroom).